First Contact Fire and Security offers a wide range of access control systems installed by a professional team of highly trained security experts. Whether you need a fully integrated entry management system or single door entry control, our team can help you secure your property with our state-of-the-art access control tech. Our team will give you a free no obligation quote with multiple options to choose from. We take pride in our work offering services such as installing new systems as well as offering services to maintain or repair existing ones. If you would like a free no obligation quote, then please call us today on 02380 410 610 or 07751 205 754 or fill out our contact page. Expert technical support: After installation, your home or business can take advantage of our expert technical support services. They are there to make sure that your system runs to its maximum potential. Highest Standards of Service: Every one of our engineers has years of experience in the field of security. That is why we can guarantee you the highest-level services before, during and after installation. 24/7 emergency call out service: Our team is ready to help you at any time of the day. Our clients that run 24-hour operations have used our 24/7 call out team in the past and were amazed at our response times. Vandal Resistant Systems: With our advice, technical support, and the quality of the systems we use, you will always be protected from those that may want to sabotage your access control system. Multiple Systems Available: Choose from digitally coded input systems, card systems, proximity tag systems, or fingerprint access systems are all at your disposal when you choose First Contact Fire and Security access control systems services. Computer-Based Admin Systems: You can manage all access to your building from a central computer system. Our access control system engineers will train you and your staff on exactly how to operate the system to its fullest potential. Keeping your employees and/or family secure: We supply, residential, commercial, and industrial properties with a variety of access control system installation. maintenance, and repair services. Would you like a free no obligation quotation? If you are interested in what an access control system can do for you, then feel free to give our access control engineer hotline a call: 02380 410 610 or 07751 205 754 or fill out our contact page. We can help if you have an older access control system and need an upgrade if you need maintenance, a fresh install on a property that has never had an access control system installed, or if you need repairs to your current system. Once your system is installed and we have trained you on how to use it, we are always there to help you via our aftercare service. All our systems come from the very best brands in the access control industry, so we can confidently say that you will be 100% satisfied. We have built partnerships with our access control system suppliers. This means we get better prices than anyone else in Southampton and the surrounding areas of Hampshire. Furthermore, with our affordable installation fees, we will give you the best deal in town when using First Contact Fire and Security access control engineering. First Contact Fire and Security has a team of access control engineers that understand exactly how to control access inside and outside medium to large size properties. In many cases, we also include CCTV installation services as well as alarm services. We can provide you with full security system installation solutions. Looking For a Residential Access Control Security Company? We know that we look like we are commercially focused company, but we also have a team of access control engineers that specialise in the standalone access control system market using Paxton Access Control Systems. What Types Of Access Control Solutions Are Available? There are many different types of access control solutions available to you. Each system is just as secure as the next one. It is sometimes just down to personal preference and budget rather than the way in which the building access control system prevents or grants entry. Door Access System: Without stating the obvious, this is literally to control who can and cannot get access through specified doors inside or outside your property. Office door entry systems are very popular within the commercial access control systems sector. 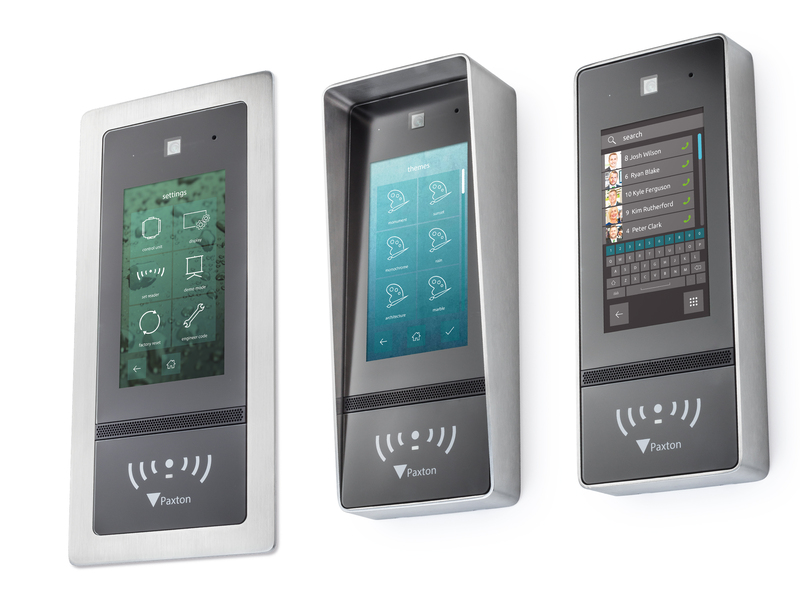 Standalone Access Control System: These systems are quite cost-effective and require someone to buzz the person requesting entry into the building, or this can just be something as simple as a single card reader or a biometric fingerprint reader for small offices or for residential access. Smart Card Access Control System: This system allows people to either swipe or tap the smart card for entry. Door Fob System: There is no swiping required as all that is required is to touch the fob to the access control panel to allow access. Fingerprint Access Control: One of the main advantages of this system is that there are no lost key fobs or smart cards. In addition to this, there is never a problem with cards or fobs wearing out. It is simply to configure and easy to control. The additional investment works out more cost effective than other systems in the long run simply because there are no fobs or cards to deal with. Just give us a call, send us an email, or fill in our contact form. We will arrange a time to come out to you when it is convenient for you. We understand that many people are working 9-5 jobs, so we are able to come and visit you after you have finished work or on the weekends. Once you are happy that you have chosen the plan that suits you best, one of our access control engineer specialists will arrange a time to visit your property to carry out the installation. You will be given a user manual, full training on how to use the system, and contact details so you can get in touch with our aftercare service. We never just stop at the installation. One of the most enjoyable aspects to our line of work is hearing from our customers again. We get to see how well the system has been working, how you have custom configured the system to suit your needs, and how it has helped your business or home become a more secure place. If you would like to arrange a visit from one of our doors system engineering experts please call us on 02380 410 61054 or 07751 205 754. Alternatively, you can fill out our contact page and we will get back to you with call or email within 24 hours.